This dish I have learnt from my grandmother and one of the favorite sabji in my household. Its quick to make nutritious and very tasty. 1. In a pan or kadhai heat oil add mustard seeds and let them crackle. Add hing, green chilli and rest dry spices. 2. Add chopped methi and mix well. 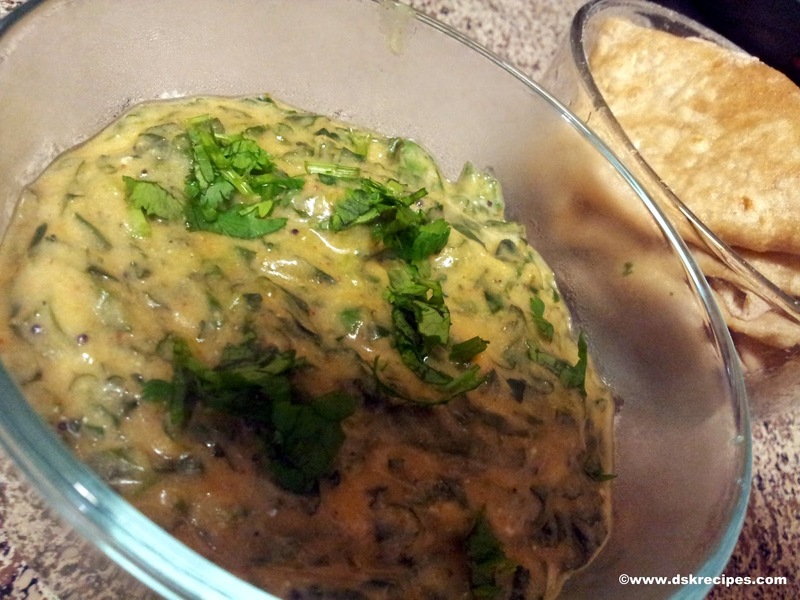 Cover the pan with a lid and let the methi cook. If need sprinkle water. 3. In a bowl mix besan, curd and water. This mixture should not be too thick or very liquidy. Medium consistency batter. 4. 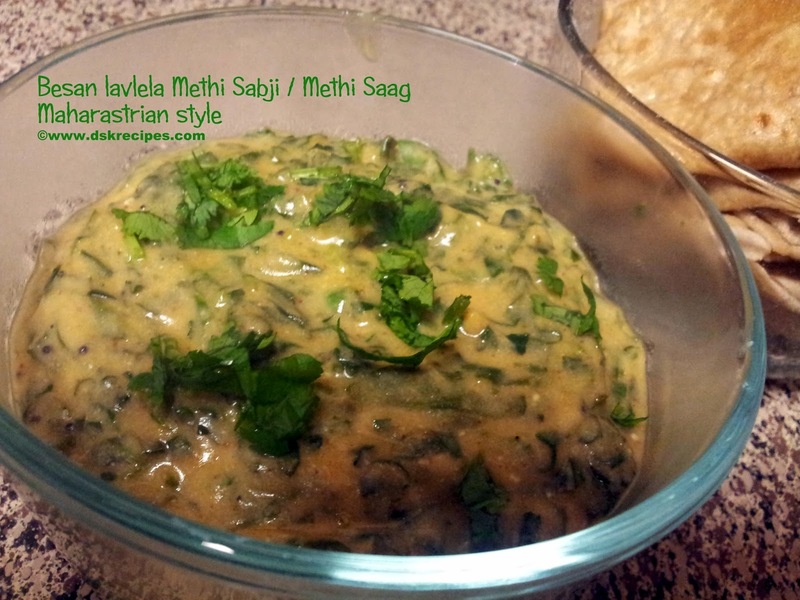 By now the methi must be half cooked. Add the batter and mix well. Add salt. 5. Cover the pan with a lid and let it cook. 6. This sabji should not be very thick nor gravy consistency. It should be medium as once cooled the besan will definitely get more thick. 7. Once cook garnish with freshly chopped corriender leaves and serve hot with roti. One can add tadka to this sabji once transferred to the serving bowl. Tadka Recipe : Heat oil or ghee add mustard seeds and let them crackle. Add red chilli powder and pour the tadka on sabji.